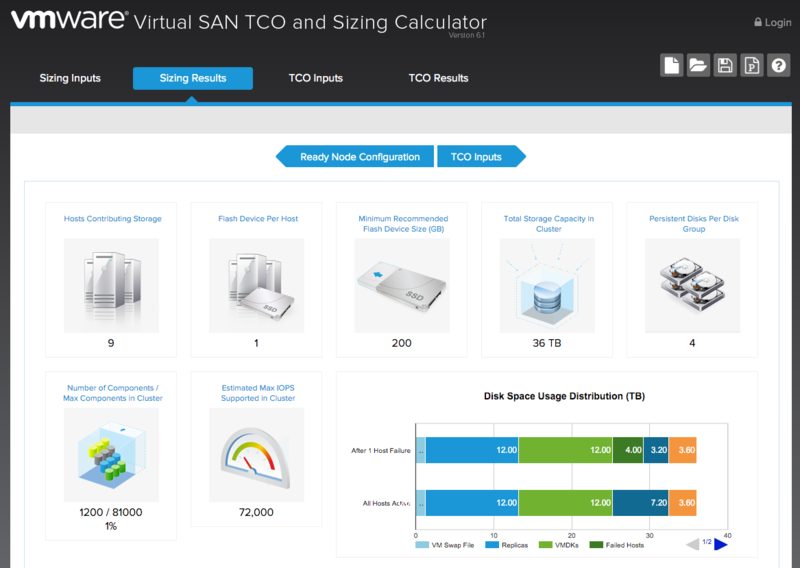 Just released, the VMware Virtual SAN™ Sizing Tool provides assistance for design considerations and automates storage sizing calculations for Virtual SAN infrastructures. The purpose of this tool is to help determine the hardware specifications for hosts in a Virtual SAN cluster required to run a set of virtual machines defined by a set of input characteristics. […] The tool is designed so that you can easily vary inputs to see the impact on the sizing output, thus allowing you to iterate manually for more sophisticated analyses. Enter the Virtual Machine characteristics and Virtual SAN policy settings in the Virtual Machine Characteristics input menu on the left-hand column. Enter the host profile in the Host Hardware Characteristics input menu on the left-hand column.